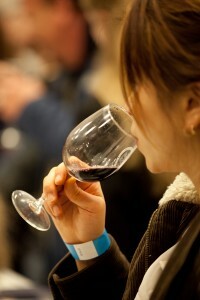 This year the Seattle Wine and Food Experience returns with not one, but two great events! Beyond the Sunday grand tasting, the Seattle Wine and Food Experience will feature a new Saturday night kickoff event hosted by Seattle magazine. POP! Bubbles & Seafood will feature the Pacific Northwest’s bounty of seafood from local fish and shellfish providers and a dozen chefs paired with Champagne, sparkling wine, cider and beer. Get the most out of this “tasting” weekend and attend both events with the SWFE BIG ticket package, a $125 value. SWFE is the largest event in the area that offers a wide range of food and beverage from the West Coast and beyond. “What really sets SWFE apart from other food and wine event are the carefully crafted experiences within the event,” said Peha. Both events benefits Les Dames d’Escoffier Seattle, a 501c3 non-profit organization of women leaders in food, beverage and hospitality whose mission is education, advocacy, and philanthropy. Tickets for this year’s events can be purchased here. No one under 21 will be admitted and ID is required.